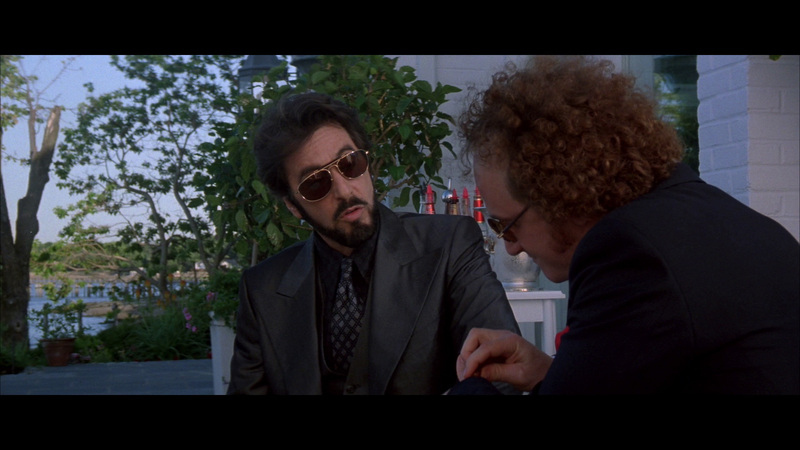 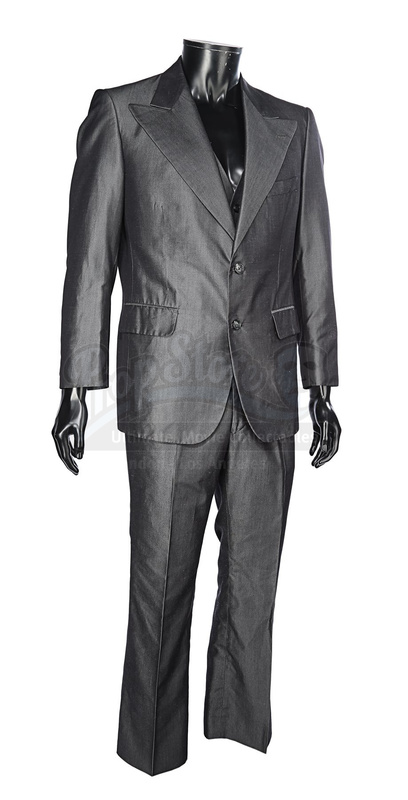 Carlito Brigante’s (Al Pacino) suit from Brian De Palma’s crime drama Carlito’s Way. 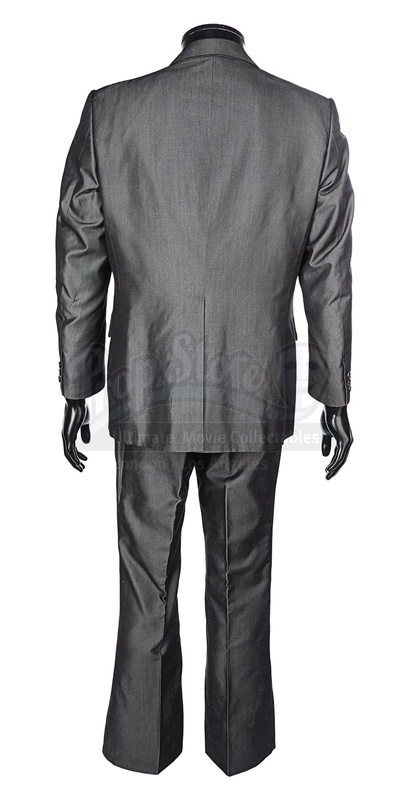 Brigante wore his suit in a nightclub as he celebrated his recent release from prison with close friend and lawyer, Kleinfeld (Sean Penn), and can be screen matched to scenes at a party where Kleinfeld begged for Brigante’s help in a prison break. 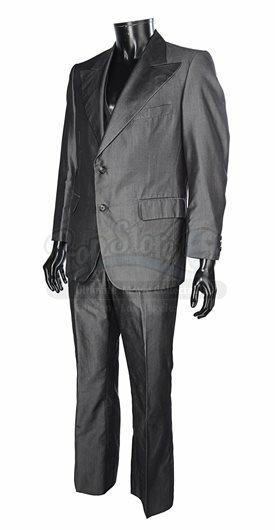 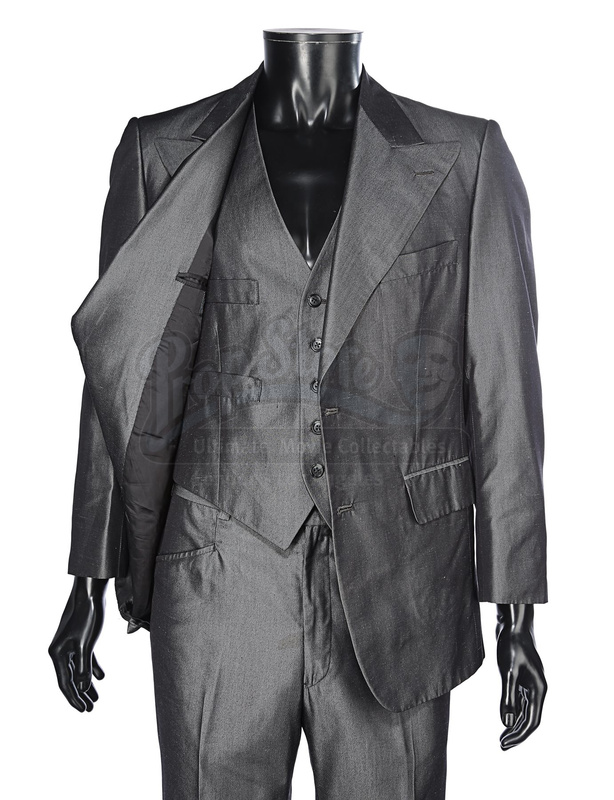 Made of dark grey sharkskin fabric, the suit comprises matching jacket, waistcoat and trousers. 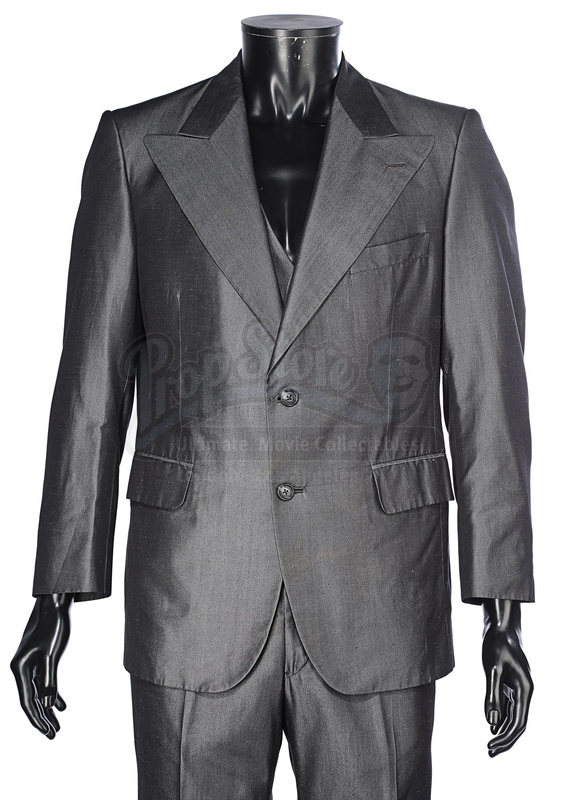 The jacket displays wide lapels and black-and-grey marble-effect buttons running down the front, with a “Scafati New York” manufacturers label sewn to the inside pocket. 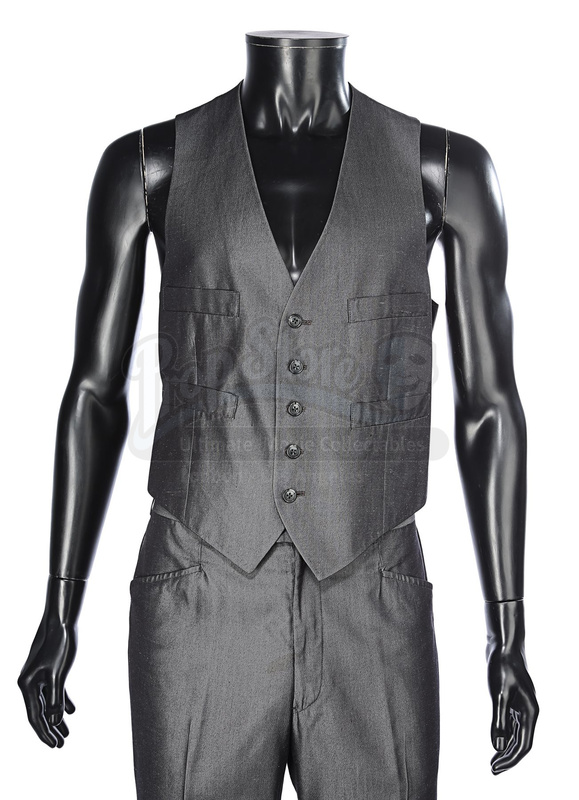 The waistcoat features matching marbled buttons, with a black silk back panel and four small pockets on the front. 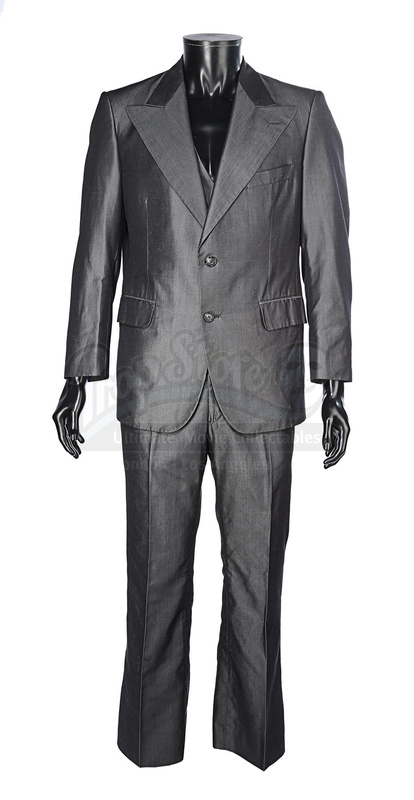 The suit has various small plucks to the fabric due to age and use, but remains in very good condition.